How many of you have driven down the road and noticed an American flag flying at half-staff, only to wonder what, or who, such a display of patriotic honor and remembrance was intended to commemorate? I’ve wondered too, quickly sifting through as much recent news coverage as I could to provide insight only to come up empty. So, given experiences like this, is it possible that we may be lowering our flags more often than is necessary? Is it possible that this potential overuse undermines the original intent of the half-staff homage? I think that while all tragedy deserves acknowledgment, lowering an American flag should be reserved for more patriotic and unifying tributes to catastrophic events and noble American losses. At this point, it’s possible that the privileges of such a commemoration have been stretched too far. According to Jennifer Peltz of The Salt Lake Tribune, “the Associated Press’s analysis of proclamations from 50 state governors and the federal government found the Stars and Stripes were lowered at least someplace in the country on 328 days during 2015.” That’s nearly every day of the year. Some states have even held their flags at half-staff for 30 days or more, including on the Fourth of July. John Hartvigsen, president of the North American Vexillological Association, which is “an American and Canadian membership organization devoted to vexillology, the scientific and scholarly study of flags,” explained that he believes the lowering of the flag has become much less meaningful in recent years. Hartvigsen does, however, understand that it’s difficult to denote laws to lowering our flag, stating that, “you can’t spell everything out about this in rules and regulations because it has so much to do with emotion.” According to Peltz, “the U.S. Flag Code allows presidents and governors to lower flags for officials, military members and certain occasions.” But some states have their own ideas regarding what warrants honorable American commemoration, which tends to broaden the allowances, especially since state officials have faced harsh criticism in the past for withholding the dropping of the flag as a tribute for various disasters that didn’t initially seem to fit the bill. 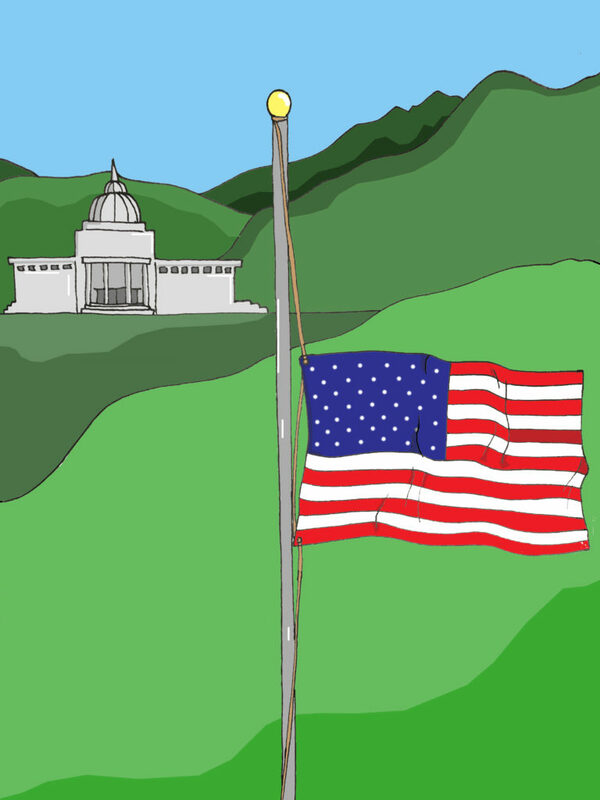 This is a controversial issue, as some wish to keep half-staff tributes reserved for military recognition, massively victimized tragedy, extremist attacks, etc., while others are more liberal, looking to honor things like students killed in car accidents and incidents revolving around construction workers getting clipped by negligent drivers. It seems that a lot of the controversy comes down to the fact that grouping those who deliberately put their lives at risk and sacrifice their lives for the greater good of the nation (military, law enforcement, etc.) with people who don’t can rub some the wrong way. Additionally, there are tragedies that end innocent lives and shake the nation as a whole, which tend to be rarer. Events like the Columbine High School shooting and the attack in Florida at a gay nightclub are examples of events that, I think, most people would support widespread and unified mourning over. Otherwise, popularly supported statewide acknowledgment may stem from things like fallen law local enforcement or firefighters — people who pass away risking their safety to serve their communities and keep others safe. While it’s overall a sticky issue, I do believe that it is important to acknowledge and mourn all deaths and all tragedies. I do not believe it is necessarily appropriate to expect a tribute initially intended to honor losses of heroes and tragic acts of bravery to represent any and every kind of death or loss. I don’t believe a local car accident warrants the same sort of tribute that the death of thousands in an extremist attack does, and I know some will disagree. This is not to say that I am not pinning value on lives. That isn’t my intent, and I understand that every life matters just as much as the next. But I do think that the circumstances and levels of heroism and nobility behind deaths warrant different pursuits of acknowledgment, some more appropriate than others. I have an interactive map and also news stories on each flag lowering event.